Thank you to all the skating families that signed and accepted the JDF Skating Club Policies and Procedures. We have made a few minor changes under the advisement of the Vancouver Island Region Board, and have both versions available to download for your comparison. The main difference is that the Parent/ Guardian Policy is mandatory, whereas the Parent/Guardian Code of Conduct is a guideline. Thank you for your patience with these changes as our objective is to have a clear and concise policy for the benefit of our skaters. Please note that all executive members and coaching staff have signed as well. New signatures are not required, however if you have any questions or concerns please reach out to the Board of Directors at juandefucasc@gmail.com or the Co-Directors of Skating Dave MacDonald and Leslee Rushton. No skater is allowed on club ice unless there is a qualified coach in attendance. This policy is set for the safety of the skaters and in accordance with club insurance coverage. Skaters should be at the rink on time for practice and lesson sessions. No gum, candy, food or drinks are allowed on the ice. Water bottles are permitted. Skaters must wear proper skating attire. Street clothes and hoodies are not permitted. For safety reasons long hair is to be pulled back away from the face for all on ice and off ice classes. During dance and skills sessions skaters skating to the music have the right of way. skater gets up immediately if not injured. volunteers, club members or arena staff on or off the ice and/or via social media will not be tolerated. Rowdiness, swearing and being disrespectful will not be tolerated. This includes kicking of the ice or boards. These may result in the suspension of skating privileges, including but not limited to JDFSC special events such as test days, competitions, ice shows, gala events, and seasonal events/activities. Do not interrupt a skater’s lesson unless it is an emergency. should be left in the skater’s bags and not be brought rink side; if a skater chooses to bring their phone to ice level phones must remain on the players’ bench NOT on the boards and are not to be used during the session. Skaters are not permitted to use the club iPad, which is used for music and solos. Ice patching – it is mandatory that all skaters not in a lesson ice patch at the end of the day. 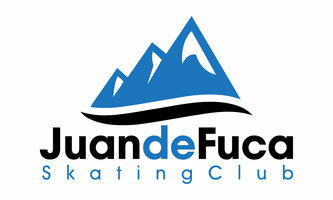 Juan de Fuca Skating Club is committed to providing a skating environment in which all individuals are treated with dignity, courtesy, and respect, including but not limited to skaters, coaches, officials, volunteers, board of directors, parents/guardians, and all other individuals that are part of the club, skating school, Section or Skate Canada. Each individual has the right to participate in a respectful environment free from bullying. esteem, diminishes performance, or adversely affects the skating environment. o The improper behavior does not have to be made with the intent to harass to be in violation of this policy. I will refrain from any behavior or comments which are profane, insulting, harassing, sexist, racist, abusive, disrespectful or otherwise offensive without hostility or violence. I will never provide alcohol or drugs to minors in a Skate Canada environment. I will never provide or advocate the use of performance enhancing drugs or substances. to take photos/videos of their own child. I will adhere to the JDFSC policies, procedures, rules, standards, and ethics of Skate Canada at all times. Skate Canada and the Juan de Fuca Skating Club are committed to ensuring that all skaters have the opportunity to participate in a safe and welcoming environment that is encouraging and promotes their overall development. Parents and guardians have an enormous influence on skaters’ experiences in the sport. The quality of a skater’s experience is determined by their relationships with parents and guardians and the manner in which parents/guardians conduct themselves in the Skate Canada environment. This code applies to all parents and guardians who are members of Skate Canada and/or have children who are members of Skate Canada. All parents and guardians should abide by this guideline at all times while participating in any Skate Canada club or school, competition, or activity. All parents and guardians are expected to conduct themselves in a responsible manner consistent with the values of fair play, integrity, open communication and mutual respect. Parents and guardians should always model positive responsible behavior and communicate with their child that they expect them to do the same. Parents and guardians will assume the major responsibility for their child’s on ice conduct and attitude. Emphasize the importance of values like sportsmanship, respect, cooperation, competition and teamwork to my child offering praise for competing fairly, participation and skill development. Model and encourage balanced, healthy food choices and subscribing to an active and healthy lifestyle. Set high, but reasonable expectations for my child’s participation in skating focusing on development and enjoyment for my child. Instill confidence in my child’s ability and skill development, always avoiding comparisons with other skaters. Celebrate the acquisition of skills and goals achieved by my child. of the athlete. My role as a parent/ guardian will be to take a healthy interest in my child’s progress and development and be responsible for my child’s nutrition, rest, adherence to off--‐ice training regimen set by the coach or other fitness professional, overall health, life--‐balance, and moral and emotional support. Ensure my child wears proper skating clothing and equipment. parents and guardians follow and uphold this code of conduct policy to the best of their ability. By signing this document on page 5, I am confirming that I have read this page in its entirety. When a complaint is made against a skater, coach, parent/guardian, volunteer, executive member or any other individuals that are part of the club or skating school for the breech of any article of the policies above, including the Skate Canada Code of Ethics or JDF Skating Club Agreement the following steps will be taken. JDF Skating Club reserves the right to move directly to ‘Incident #3/ Final Incident’ based on the seriousness of the offense. The first response will consist of sending a written notification of the initial complaint to the offending party and other parties involved, and a mediation meeting must take place between the involved parties led by a representative of the Juan de Fuca Skating Club’s leadership; resulting in written documentation stating the policy(s) that were not abided by, and how the policy(s) will be upheld from that point moving forward, and if breeched the next step in the Course of Action Policy will be conducted. A mediation meeting must occur within a week of the initial complaint, and the resulting documentation is to be signed by the offending party (if person(s) under 19, a parent/guardian is to be present), and by the coach(es) and/or executive member(s) present. If the resulting documentation is not signed by the offending party, JDF Skating Club will move directly to #3/Final Incident. The goal of this mediation is to help bring understanding of the negative impact of the words or actions committed, and to establish a written agreement to end the offending behavior. A written report will be sent to the coach(es), executive and the parties involved. Input from a third-party observer will help verify any complaints. When a verified second complaint is made, a written warning outlining their offense(s), will be issued to the offending party with a three-‐‐day suspension (no refunds, discounts or reduction of ice fees). Written notification of the second offense(s), including the previously written and signed agreement between the parties involved in the first mediation, will be sent to the executive, the parties involved and the VI Region. A meeting must occur with the offending party (if person(s) under 19, a parent/guardian is to be present), executive and coach(es), prior to the offending party returning to the ice/ session; to outline the policy(s) that were breeched, resulting in written documentation stating the policy(s) that were not abided by, and how the policy(s) will be upheld from that point moving forward, and to reiterate the next step of the procedure in the Course of Action Policy if the offending party continues to not abide by the club’s policies; documentation is to be signed by the offending party (if person(s) under 19, a parent/guardian is to be present), and by the coach(es) and executive member(s) present. If the resulting documentation is not signed by the offending party, JDF Skating Club will move directly to #3/Final Incident. A written report will be sent to the coaches, executive, the parties involved, and the VI Region. A letter of apology will be required from the offending party prior to returning to the program when the suspension is lifted. Input from a third- party observer will help verify any complaints. After a verified third complaint is made, the club membership of the offending party will be suspended for the remainder of the skating year (ending August 31; no refunds, discounts or reduction of ice fees). Written notification will be sent to the coach(es), executive, the parties involved and the VI Region. A letter of apology will be required from the offending party prior to membership being considered for the new skating year (beginning September 1). Input from a third- party observer will help verify any complaints. Copies are available for download from the club website and hard copies are available at the rink.